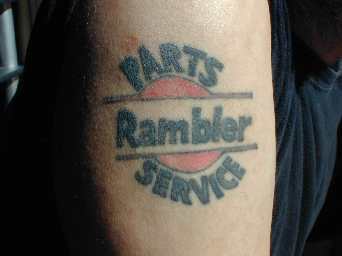 I have a Rambler tattoo on my right shoulder. I got it in my mid-twenties and have never regreted it. Wow ! Awesome job on your race car, love the video and the sound. It has been a while since I looked at your website and a lot has happened. You are an inspiration to the hobby.